By Susan Breslow, former Head of Publications for the ASPCA and the author of the children's book "I Really Want a Dog." Dogs and cats are creatures of habit. When your pet stops perking up his ears at the sound of kibble being poured appears uninterested at the snap of a can opening, it can be cause for concern if the behavior continues or appears. Although there's an abundance of overweight pets in our society, those who refuse to eat and start losing weight are even more worrisome. As a responsible pet parent, you'll want to determine what's putting your furbaby off feed. He's become so accustomed to receiving tasty treats and table scraps that he has no desire to dip his muzzle into commercial pet food. What You Can Do: Stop offering so many goodies and stick to pet food. When he realizes there's no more people food coming, he'll return to his proper diet if this is the reason why he stopped eating. She turns up her nose at dry food. What You Can Do: Make it tastier. Mix in a small amount of canned food or chicken broth. To make wet food especially appetizing, warm it slightly in the microwave. Cats particularly like anything fish flavored. The food smells bad to your pet. What You Can Do: Dogs and cats' noses are more sensitive than ours. Check the dates on the food you are serving to make sure it's not out of date or spoiled. Your dog's just not hungry. Is he getting enough exercise? What You Can Do: See if a brisk walk before dinnertime helps to increase his appetite. He's got a tummy ache. Many pets won't eat if they're not feeling well, especially if he's suffering from a gastrointestinal upset. 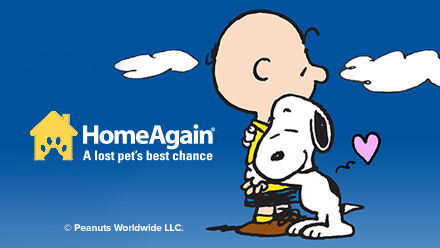 What You Can Do: If your pet vomits or has diarrhea, you should seek veterinary attention. A rotten tooth can make chewing painful. What You Can Do: Offer soft food, check her mouth for sensitive areas and schedule a visit to the veterinarian so her mouth can be inspected. Has she experienced a big change? Has the household moved or added a family member? Does another cat or dog threaten her food supply? What You Can Do: Understand that stress can cause a pet to stop eating. See if her appetite returns when you feed her in a quiet, safe, protected environment. Someone else is feeding your pet. Outdoor pets quickly learn where they can go for a handout. What You Can Do: Act like a sleuth and track his journey to see if he comes calling at the same places every day and gets a treat when he arrives. Let the neighbor know that you'd prefer if your pet weren't fed outside the home. He's getting old — and forgetful. As dogs and cats age, their senses of smell and taste become less acute. What You Can Do: Warm his food to bring out the aroma; it will taste more appealing. Adding a small amount of water or unsalted chicken broth can also help. Also gradually begin to switch to a senior diet. Since you know your pet best, if he stops eating or drinking for more than a day or so, bring him in for an examination. 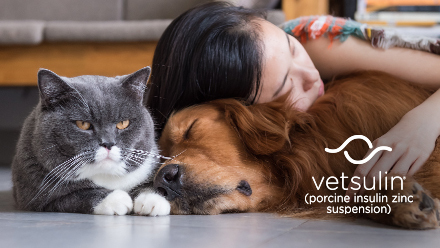 Other warning signs that medical attention is called for include a pet's weight loss, continued vomiting, diarrhea, constipation, lethargy and/or depression. Does Your Dog Need To Go On A Diet? 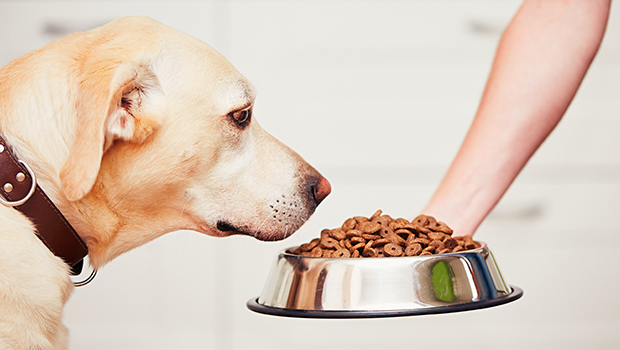 Losing Weight With Your Dog Choosing a Healthy Dog Treat Feeding Table Scraps—Do or Don't? Is Your Dog a Beggar?